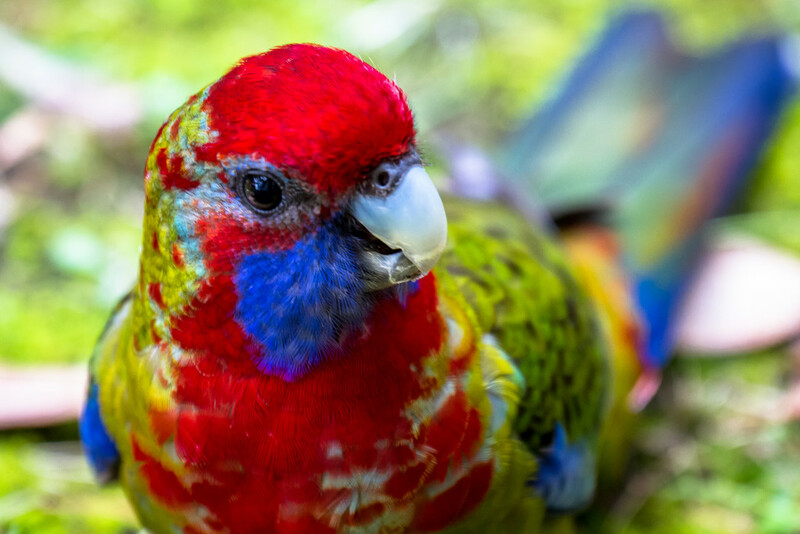 This cheeky young juvenile crimson Rosella was not shy to come in for a free feed. Fantastic shot. The rosellas in our garden are very shy, well done for getting so close. A beauty...what gorgeous colors. Am at this moment watching a PBS (public broadcasting) special on parrot rescues. So interesting...heartbreaking in many ways and so happy there are those that are willing and have the time, energy and love the share...and not to mention patience. Beautiful capture! The colors are amazing.